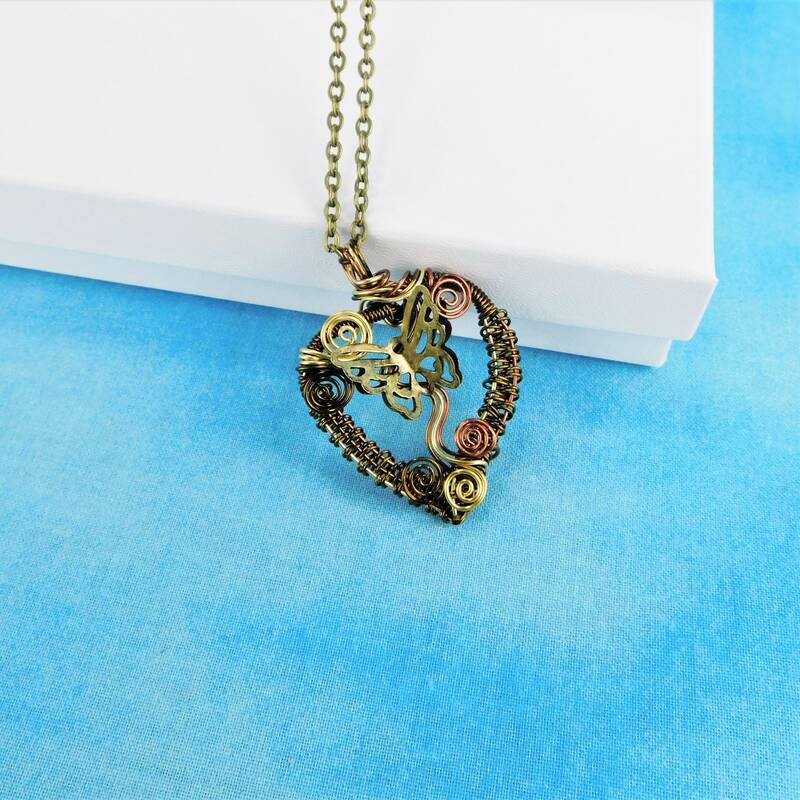 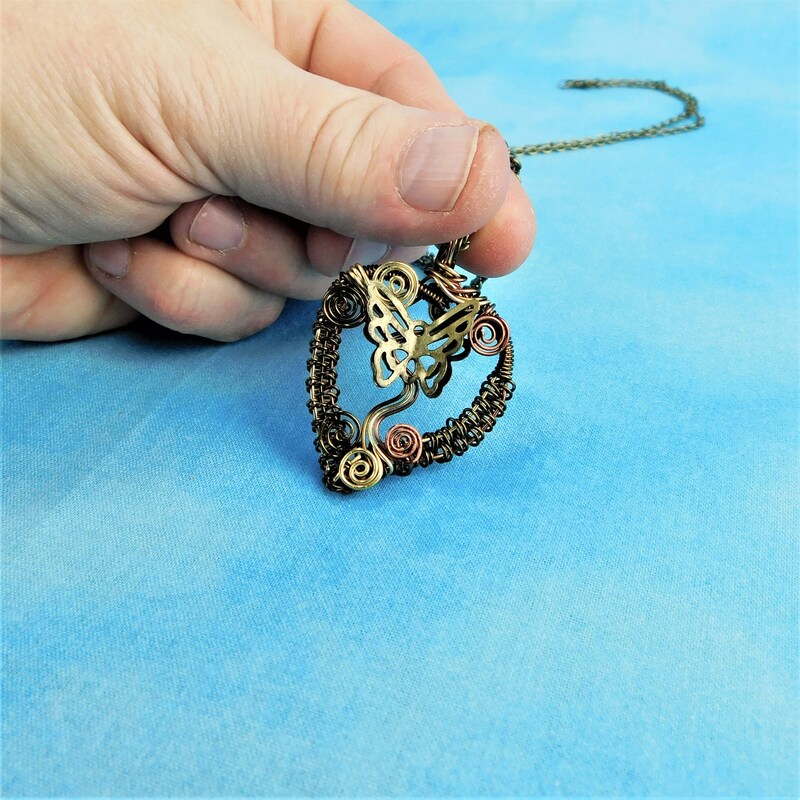 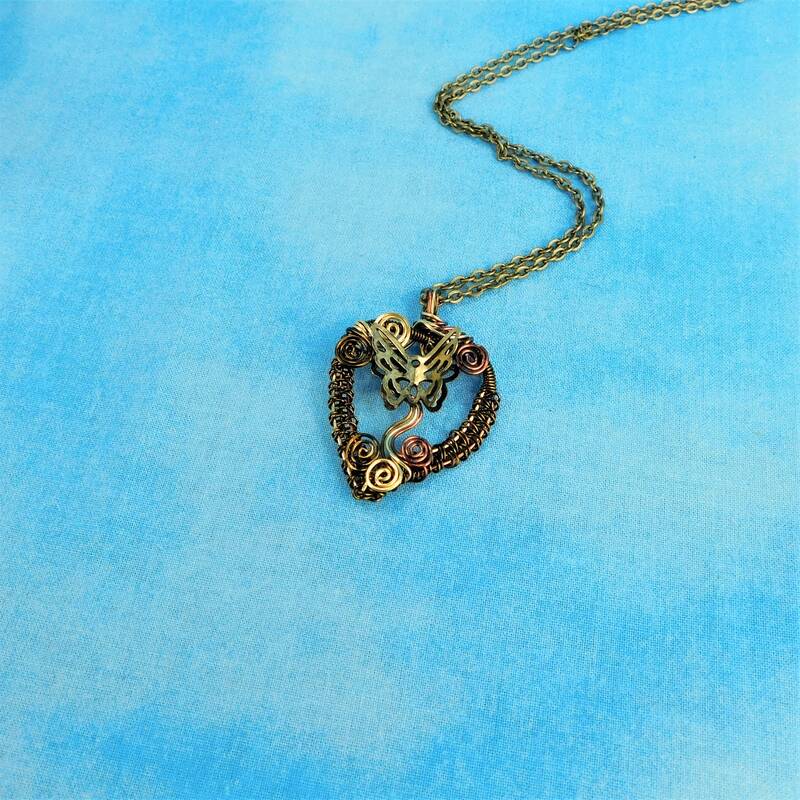 Four shades of copper wire are woven and sculpted into a heart shape and embellished with a vintage bronze colored, three dimensional butterfly that appears to be fluttering within the woven wire heart frame. 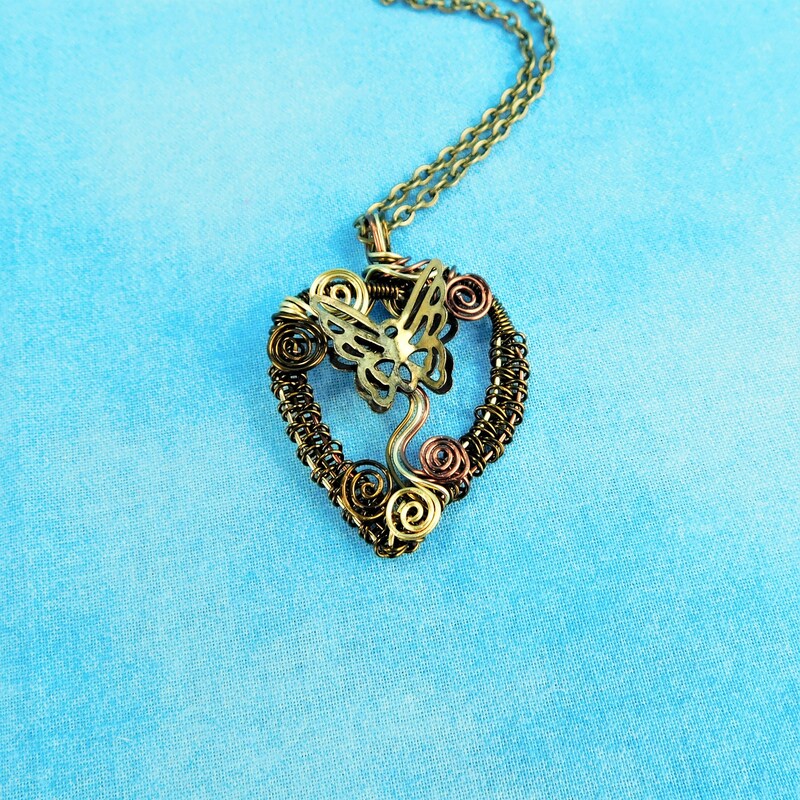 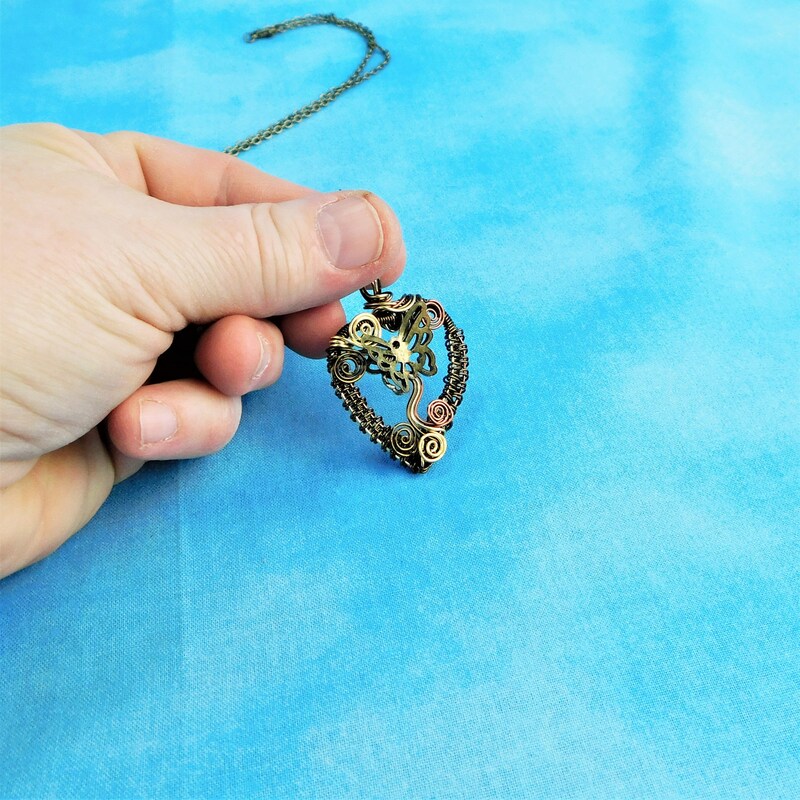 The rustic, warm copper necklace would be a perfect gift for women who appreciate the natural world, or as a remembrance of a loved one. 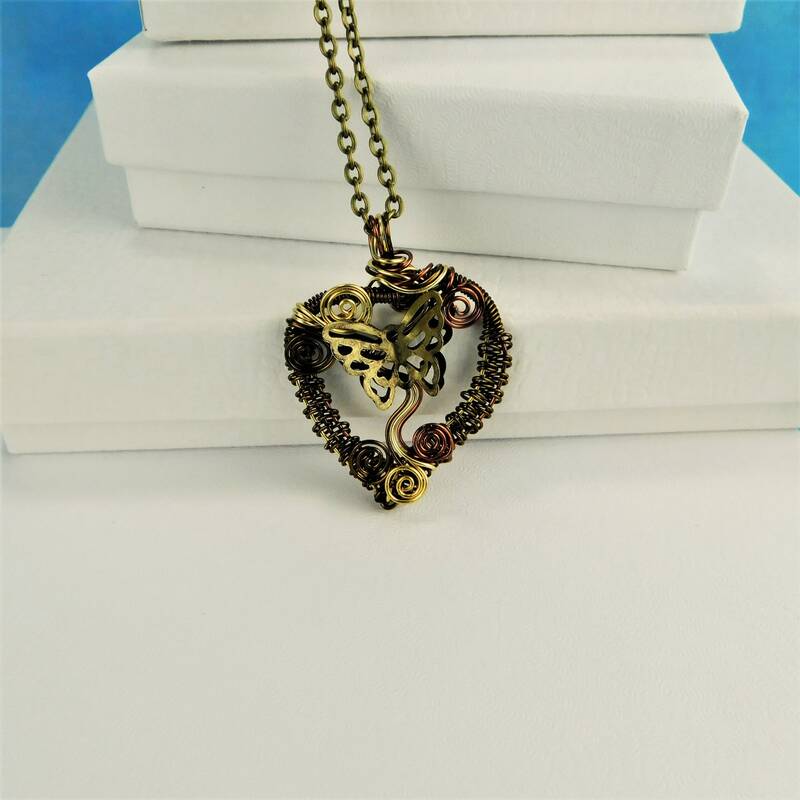 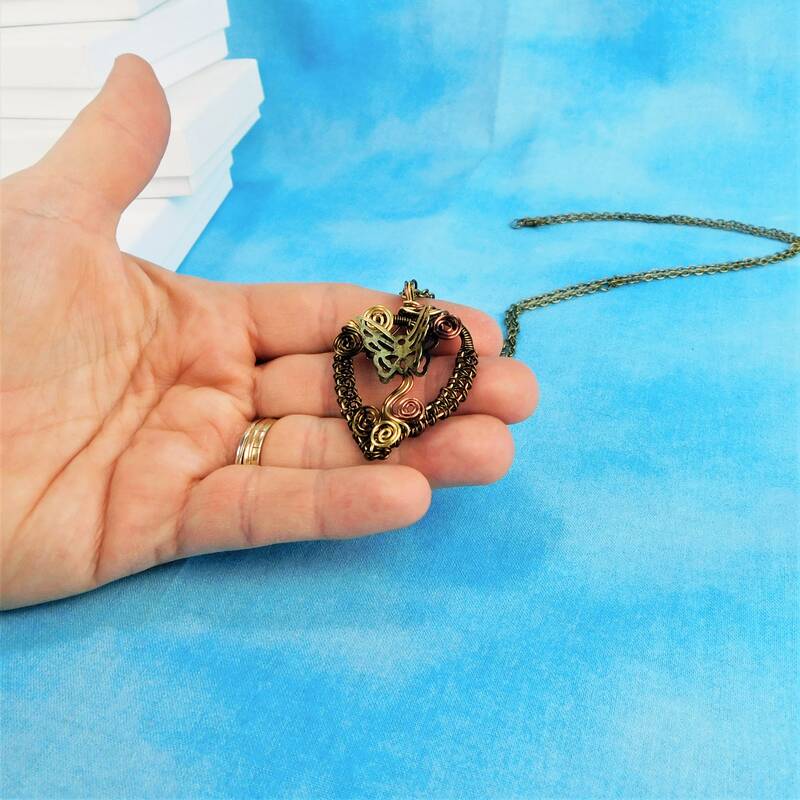 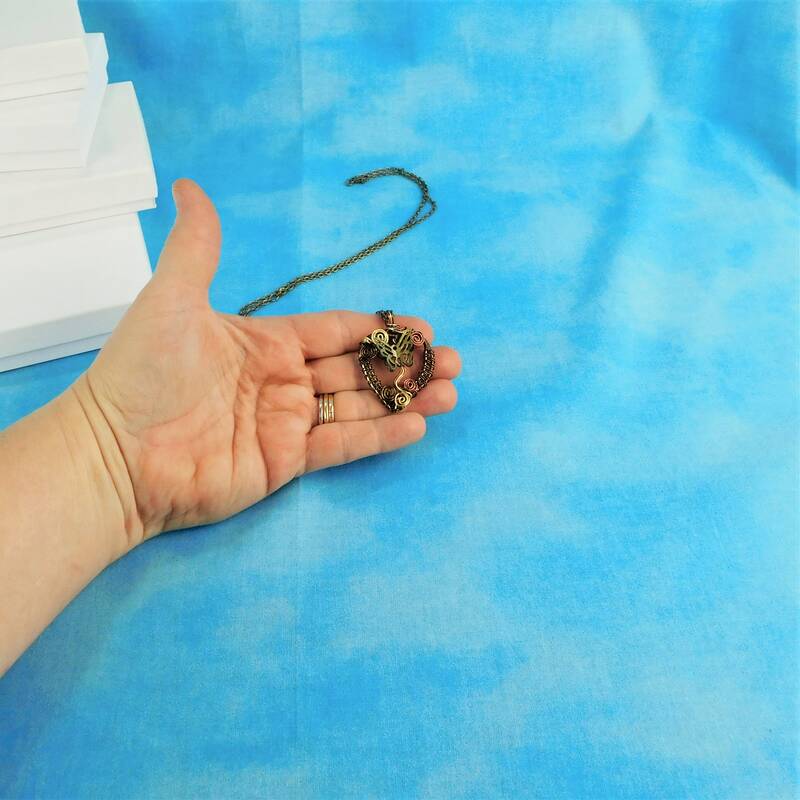 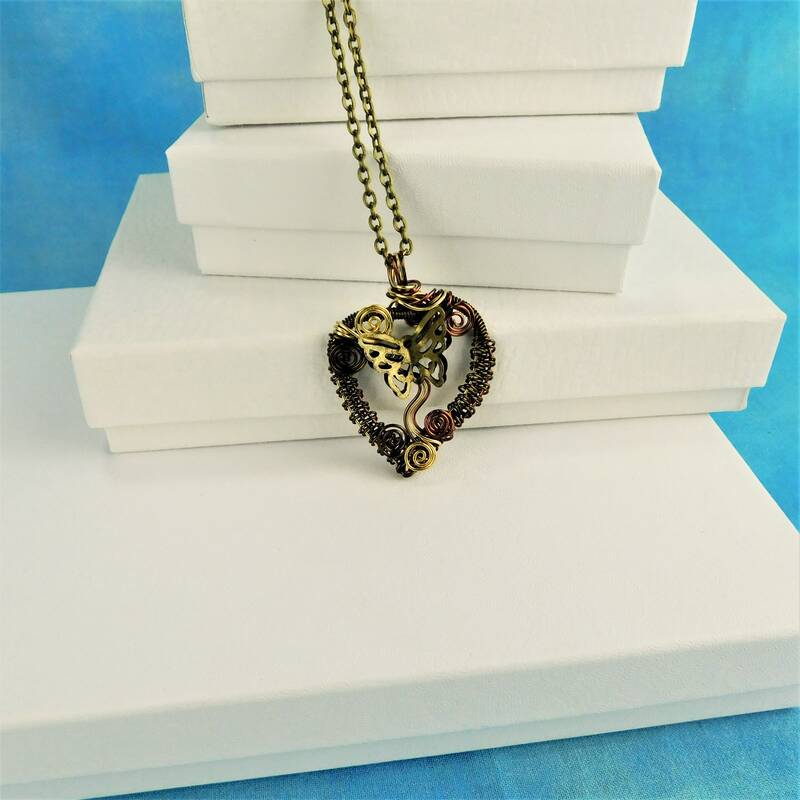 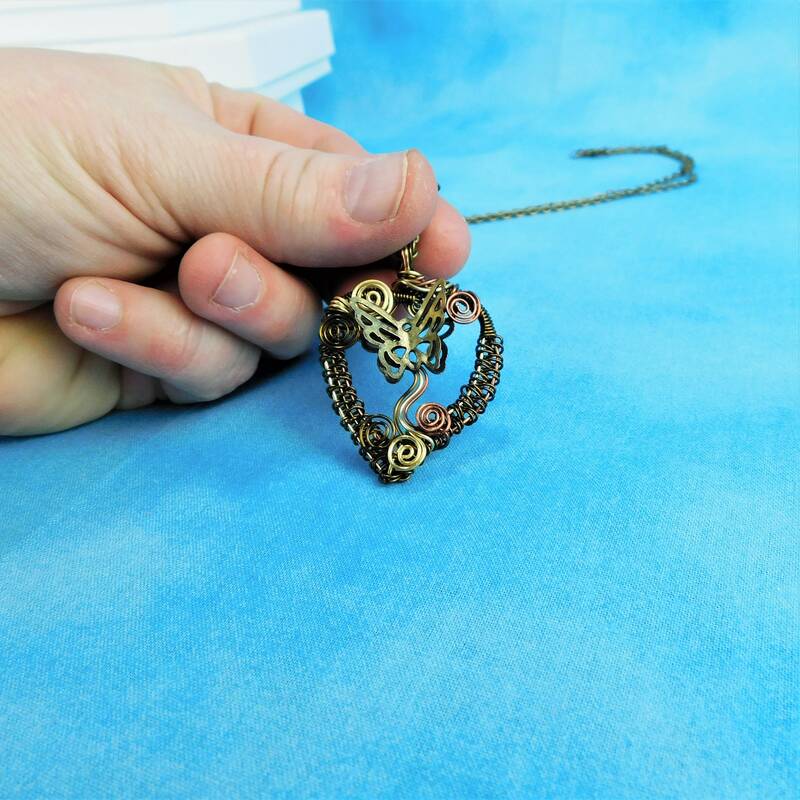 The heart measure 1 1/2 inches long by 1 1/4 inches wide and comes with a coordinating chain with lobster claw clasp measured to your preferred length.